Speedriding Featured in Latest Red Bull Miles Above Ep. They make it look easy. The sport known as speedriding, which combines high mountain skiing and paragliding, looks like an absolute dream. Ski when you want to ski. Fly when you want to fly. But it’s also extremely dangerous. Three members of team Red Bull, Jon Devore, Mike Swanson and JT Holmes, show off their speedriding prowess in the latest film to hit Youtube. Shot in British Columbia’s Pemberton Mountain Range, these extreme skiers and paragliding experts had a massive area to choose from, which they accessed by helicopter. At one point, showing the true advantage to speeedriding, one of the athletes simply picked up his skies and took flight when an avalanche broke off above him. As the snow piled up below, he simply sailed away. While the first day when pure bliss, the second day of filming posed some challenges as the wind increased. Heavy weather forced them to avoid the peaks and it made for some tricky flying as they found themselves in more than one uncomfortable situation. 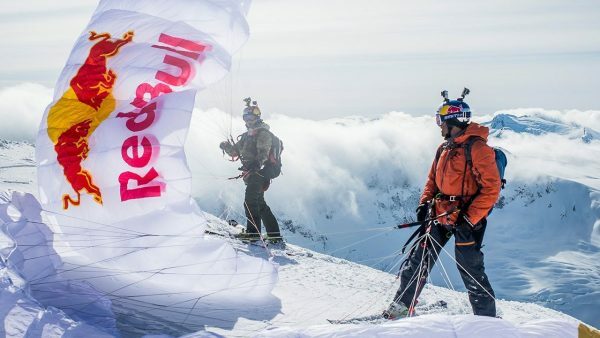 Watch the video below to experience speedriding at its absolute finest.